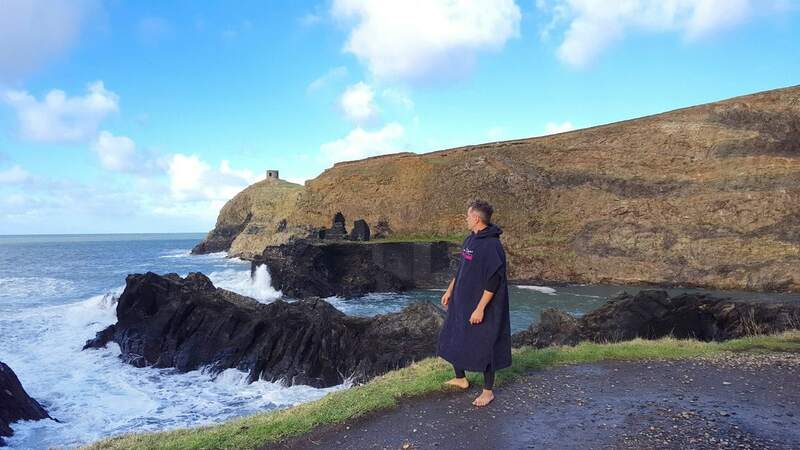 Our new Coasteering changing robes have landed just in time for Christmas and can be ordered online. 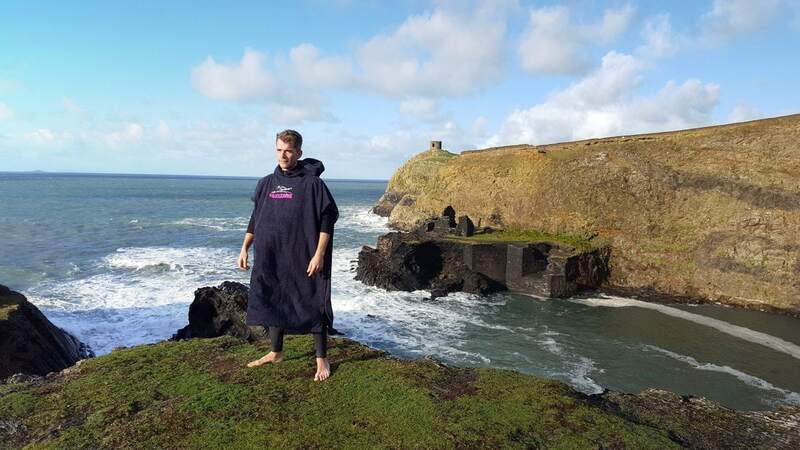 Premium quality 100% terry towel, recommended and used by our own Coasteering Guide Team. 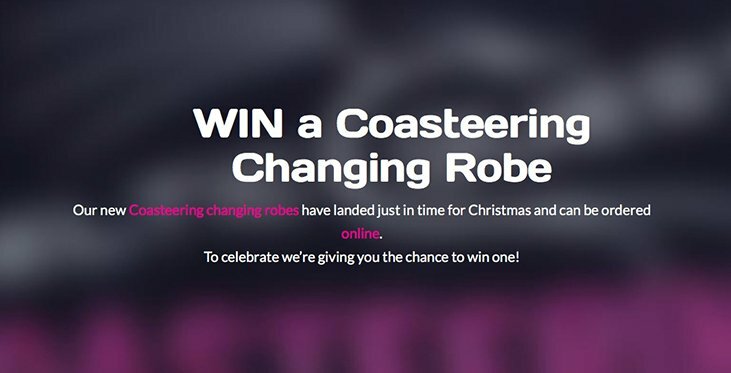 To celebrate we’re giving you the chance to win one! Four ways to enter, quadruple your chances of winning! Check out our prizedraw tweet for details. Head over to our facebook post for full instructions. Subscribe to our newsletter. All subscribers will be entered into the prize draw. 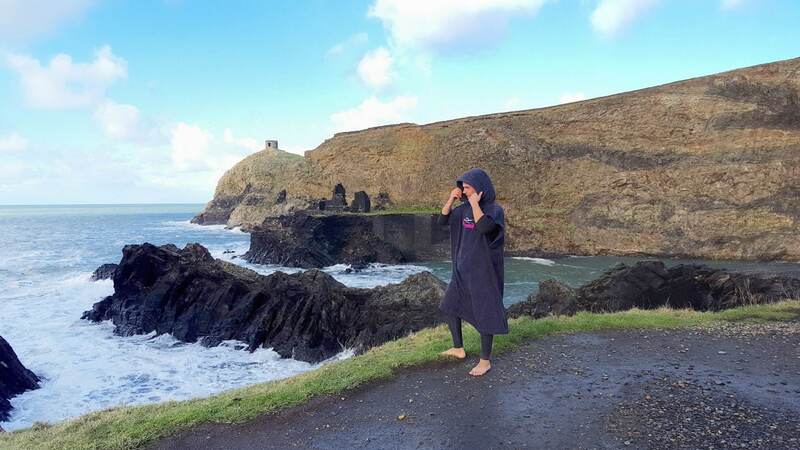 Coasteering Newsletter We only use your details to keep you updated with our news and we will never pass on your data to anyone else. No purchase necessary. Purchases won’t increase the odds of winning. No responsibility can be accepted for entries lost, delayed, mislaid or damaged due to technical malfunctions. 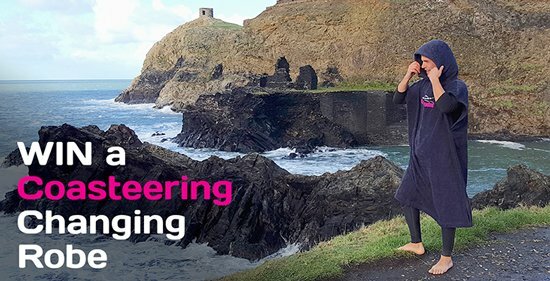 The names of prizewinners will be made available on the Celtic Quest Coasteering Ltd website and Facebook page. The decision will be final and no correspondence will be entered into. All entrants to prizedraw are deemed to have accepted these rules and agreed to be bound by them and agree to co-operate in any publicity that may arise. The closing date for receipt of entries is midnight on Sat 15th Dec 2018. One winner will be drawn at random from all valid entries, and will be notified on 16th Dec 2018. Winner forfeits their prize and a redraw will take place in the event the winner fails to acknowledge winning notification within 24hours. 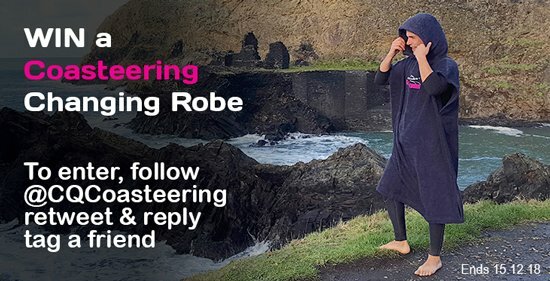 By providing your email address and entering this prizedraw you agree to receive relevant email communications from Celtic Quest Coasteering Ltd including news, events, offers and competitions. Promoter: Celtic Quest Coasteering Ltd, Four Winds, Square and Compass, Haverfordwest, Pembs, SA62 5JJ.